Do you have an exhaust clamp that's falling apart, is rusting away, or is just unsightly? Purchase one of FloPro's high quality replacement 4" 304 Stainless Steel lap joint clamp that is used in all of their diesel performance exhaust kits. Do you have an exhaust clamp that's falling apart, is rusting away, or is just unsightly? Purchase one of FloPro's high quality replacement 5" Aluminized Steel lap joint clamp that is used in all of their diesel performance exhaust kits. Do you have an exhaust clamp that's falling apart, is rusting away, or is just unsightly? 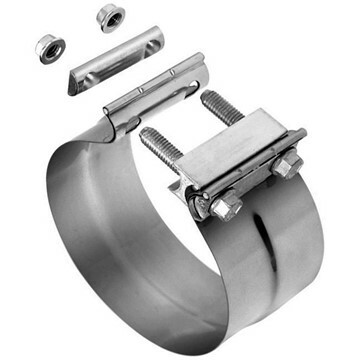 Purchase one of FloPro's high quality replacement 5" 304 Stainless Steel lap joint clamp that is used in all of their diesel performance exhaust kits. FloPro's EGR cooler delete kit for your 2007.5-2009 Dodge 6.7L Cummins 2500/3500 pickup and 4500/5500 Cab & Chassis diesel truck. Includes the parts needed to complete a professional installation. 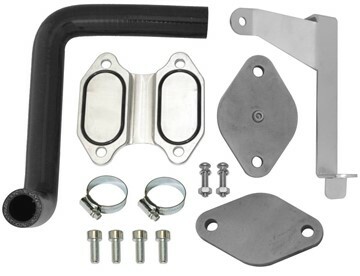 This kit removes the EGR Cooler ONLY and leaves the EGR Valve intact. 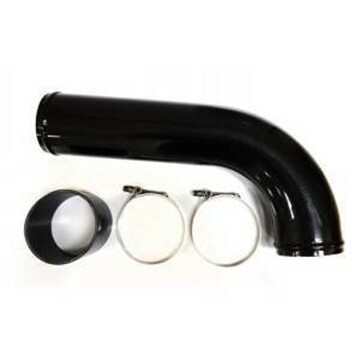 FloPro's EGR cooler delete kit for your 2010-2012 Dodge 6.7L Cummins 2500/3500 diesel truck (PICKUP ONLY). Includes the parts needed to complete a professional installation. 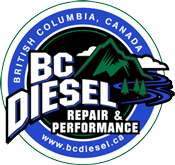 This kit removes the EGR Cooler ONLY and leaves the EGR Valve intact. FloPro's EGR valve and EGR cooler delete kit for your 2007.5-2009 Dodge 6.7L Cummins 2500/3500 pickup and 4500/5500 Cab & Chassis diesel truck. Includes block off plates, brackets, and all gaskets and hardware needed to complete the installation. FloPro's EGR valve and EGR cooler delete kit for your 2010-2012 Dodge 6.7L Cummins 2500/3500 diesel truck (PICKUP ONLY). Includes block off plates, brackets, and all gaskets and hardware needed to complete the installation. 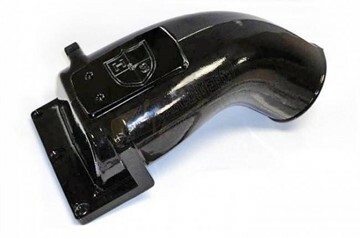 A replacement muffler delete pipe for FP833, FP838, FP843, FP853, FP819 kits that fit 2008-2010 Ford Powerstrokes and 2004.5-2009 Dodge Cummins. 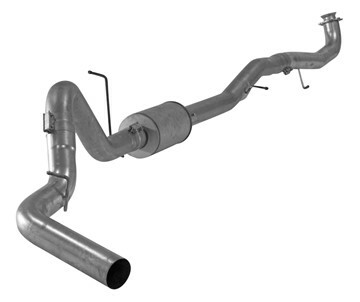 If you have a muffler currently in your truck (with 4" aftermarket FloPro exhaust) and want to delete it, or, just require a replacement, then this is the pipe for you!